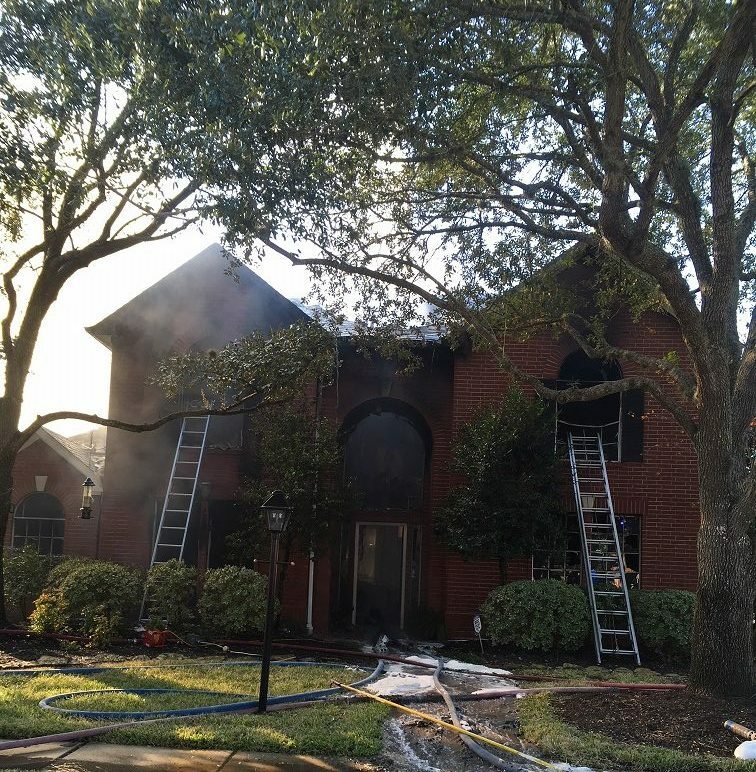 Just before 14:00hrs today Truck 21 and Battalion 21 were sent to the reported house fire in the 4600 block of Pebblestone in the Brightwater Subdivision. With Battalion 31 advising of a column from quarters Ladder 31 went on scene with fire from Division 1 and Division 2 on the A side of a 2-story SFD. Upon arrival of Truck 21 the crew assisted in establishing a water supply for Ladder 32 and then reported to Side A. With interior crews getting a handle on visible fire the process of opening void spaces was begun with significant extension found throughout as well as missing floor area on Division 2. 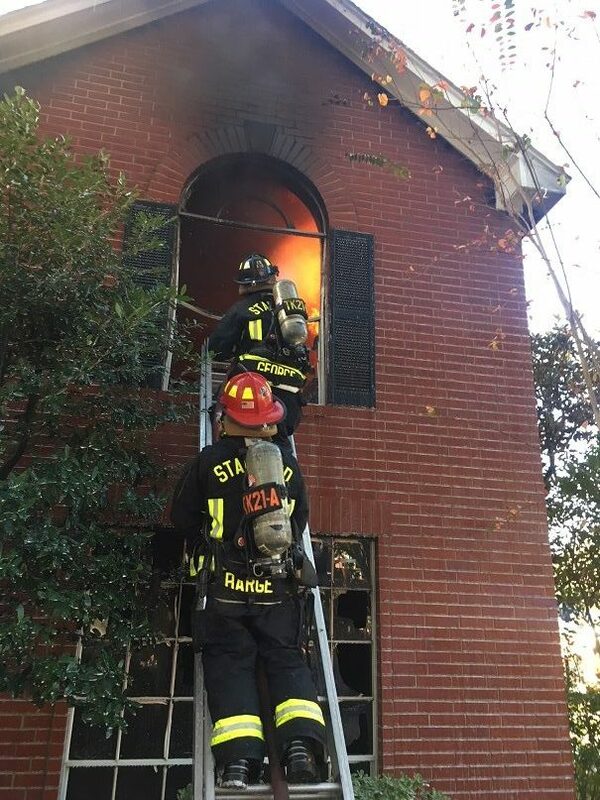 With the B side in accessible from the interior Truck 21 was assigned to gain access from the adjoining roof and, after doing so, found considerable fire running laterally, beneath them and up into the main attic. With crews pulled from the building Ladder 31 and Ladder 32 went into operation with ladder pipes as fire broke through the majority of the roof. Following final knockdown Truck 21 assisted with assignments until released. During the incident Battalion 21 was assigned as B Division.